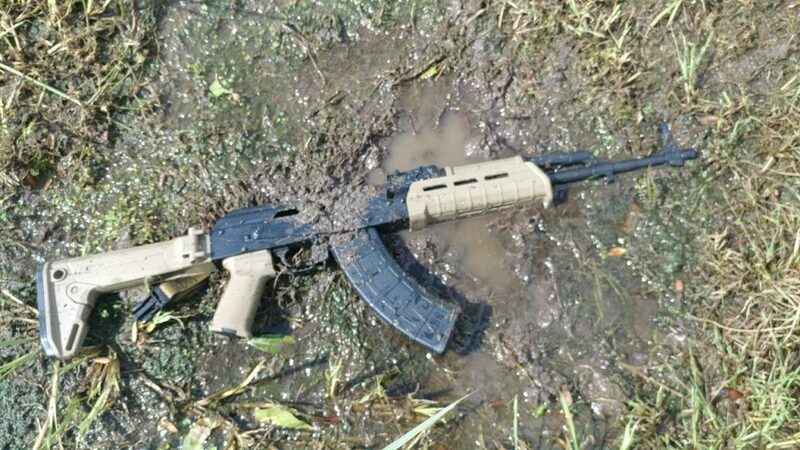 American made AK’s have had some growing pains. Case in point is the original Century C39. Much like when the auto industry releases a new model of car, it’s best to avoid the first few generations of that vehicle. It never pays to be a beta tester for vehicles or firearms. That said, when Palmetto State Armory decided they wanted to enter the market, many shooters likely met the news with suspicion. 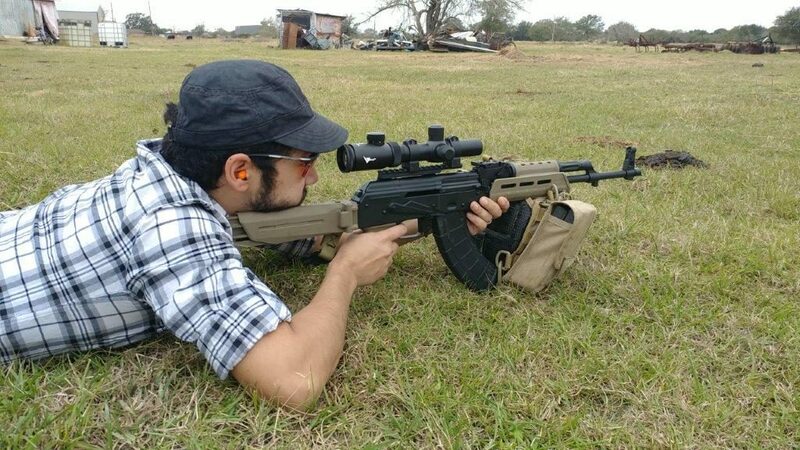 Retailing around from around $499 to $599 means it is one of the most affordable Kalashnikov’s on the market. Has Palmetto undercut the competition and over-delivered on quality? Let’s check it out! 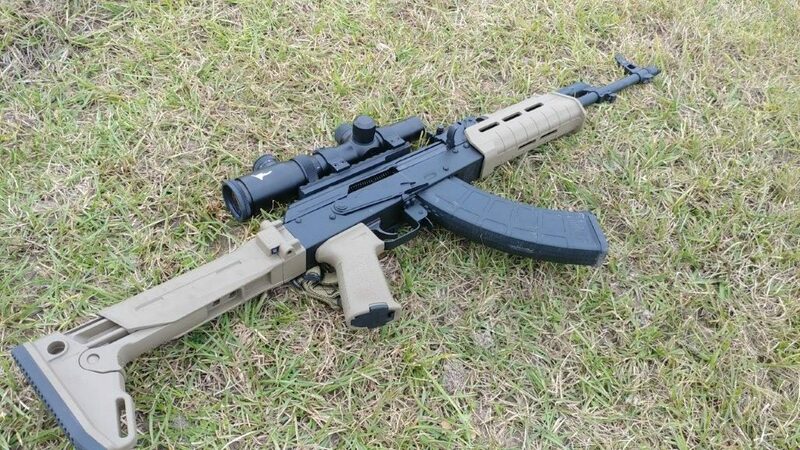 The PSA-AK is a Magpul MOE Model with Zhukov stock. (AKA the MOEkov) The rifle is clean with a nice shiny satin sheen courtesy of the a baked Teflon finish. Components feel solid and the rivet work is excellent. End to end, the rifle is clean and parts look great. The fire control group? Clean. The furniture fit? Clean. The rear sight? Clean. The front sight and gas block. Clean? You get the point. Workmanship is excellent. No machine marks, no crooked components, no questionable areas on first glance. The bolt reciprocates without binding and feels a good order better than my early 2k Romanian WASR. The MOEkov tears down easily, and function tested without issues. Again, the gas block and front sight are in-line and cleanly pinned. Color me impressed. The star indicates that the front trunion is a machined billet component. Not cast. Very shiny. Very clean. Ipod White? No, give me Darth Vader Black. Every-time. The bolt carrier has some machine markings in the cam track, but otherwise looks to be made with more care than my Romanian WASR. The safety has a pretend full-auto stop before bottoming out at semi. PSA, release a binary trigger to make this marking come to life. Please. If looks could kill. Well, they don’t. It’s the bullets I am pretty sure. Over the years, any number of gun owners may have been smitten by a good looking piece only to get it out and have it sputter, choke, and turn blue like a COPD patient. That’s life. Sometimes though, sometimes the moons align and a good firearm is born. It looks clean. It functions well. It becomes a reliable friend. Did Palmetto pull it off? 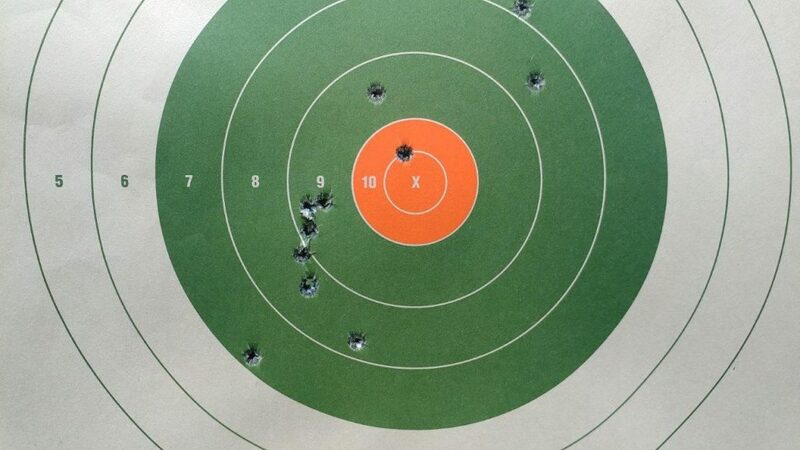 My first range session was a sight in and basic function check. The rifle was sighted in with a Russian military sight in target which simplified the process quite a bit. So long as you followed the instructions, it will get you in the black at 15 yards. I had the PSA-AK in the black on the 4th round. Moving back to 50 yards for some fine tuning allowed me to finish the sight in. The AK’s front sight was well centered within the protective ears of the front sight and did not require excessive windage for zero. Once that was done I settled in to the rifle and began to evaluate the feel of the rifle. The trigger was a long rolling break, which is par for the course on a stock AK. The irons painted a clean sight picture and they were as sharp as a notch and post could be thanks to the clean machine work. 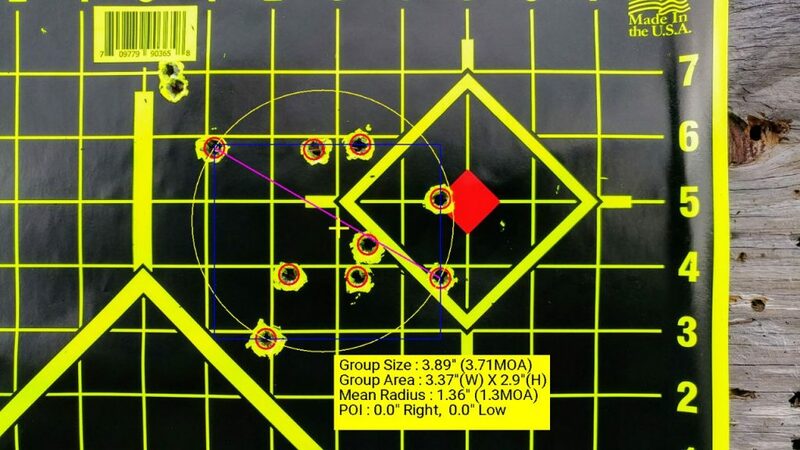 At 50 yards I noticed some vertical stringing with two separate groups using standard WOLF. My sight in and target session was roughly two trouble free magazines. I then began to take aim at various targets around the property with a third magazine, and encountered no jamming or malfunctions of any type on the clean weapon. Extraction was positive and the rifle functioned well. I then began to submerge the rifle in brackish water with moderate particulate. The weapon fired its first round and then had a failure to feed. I remedied this by chambering a new round and the rest of the magazine was emptied without issue. I then proceeded to muddy the rifle. I threw mud into the action and decided to push the PSAK to level 10. The mud is a mixture of grass and South Texas clay. It was thick and I knew from the outset that this was going to be too much grit in the action for any rifle to handle. 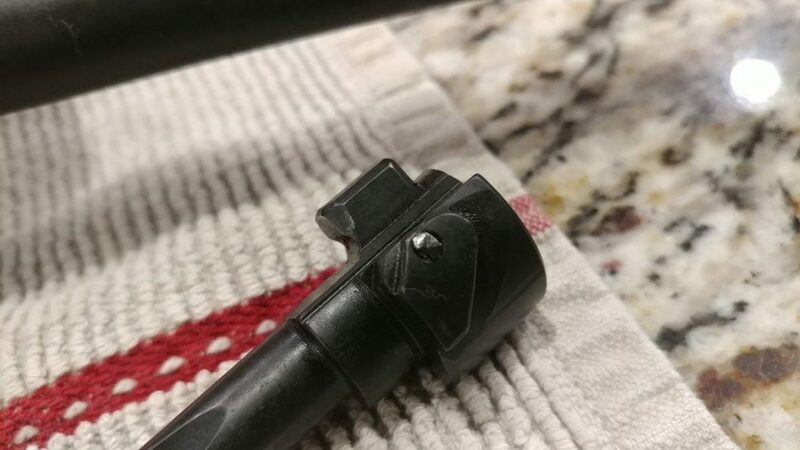 I fully expected the rifle to choke, but much to my surprise I was able to remedy the failures to feed by tapping the charging handle foreward. In effect, the AK became a single shot rifle. After around 15 shots of this, I decided to do what any sane person would do if their rifle became so inhibited. I submerged the rifle and shook it out in a relatively clean bucket of water. I think its safe to say that if any of our defensive rifles became so muddied, that priority number 1 would be to clean it with whatever was available. Canteen water, a cattle trough, VOSS bottled water for the well-to-do… anything to clear out the gunk! Unfortunately, despite a quick rinse out the rifle remained a single shot for a few more rounds. Sure that something was in the way (of bolt lockup, thanks Kurt for the lyrics) I did a complete strip and hosed the PSAK down with a real hose and used the high pressure finger nozzle. I then re-assembled and attempted to finish the magazine. 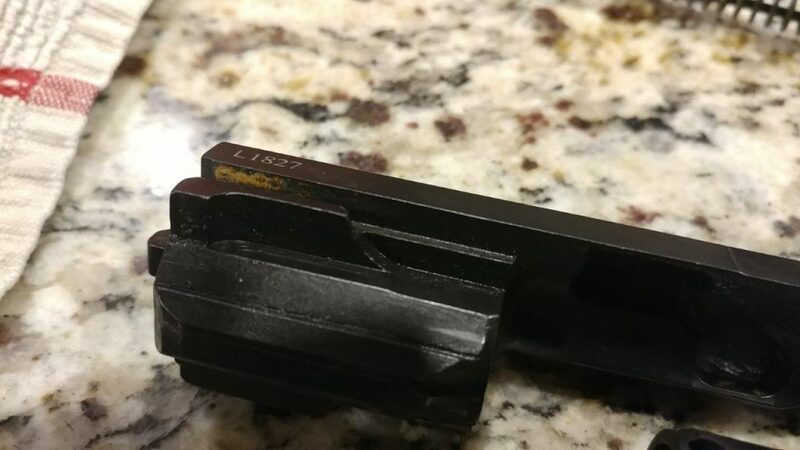 It remained a single shot rifle for the next seven-ish rounds and whatever it was that prevented bolt lockup must have been crushed to smithereens or displaced. It was now a functional semi-auto for the subsequent magazines. So take that for what you will. 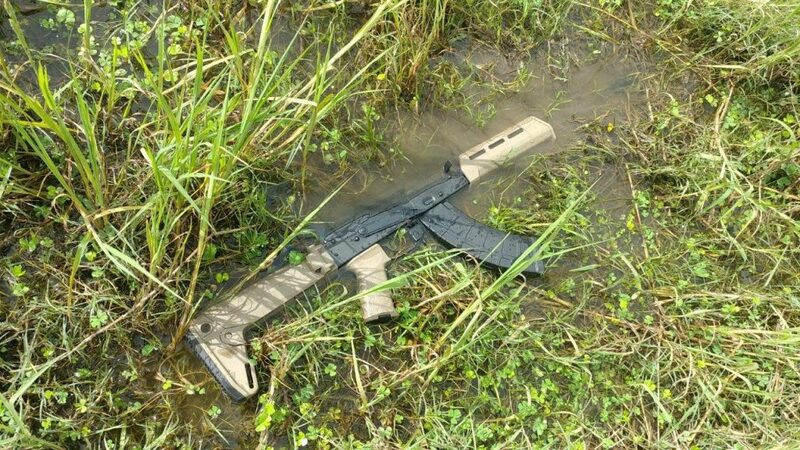 Mud stops rifles. All Rifles. The PSAK is no different, however It functioned well enough to remain a single shot rifle through some terribly adverse conditions. The final rinse with a hose may have helped and eventually the rifle returned to functional status without lube. I got the rifle home and let it air dry. I like to do this to ensure we see how the finish holds up to water. 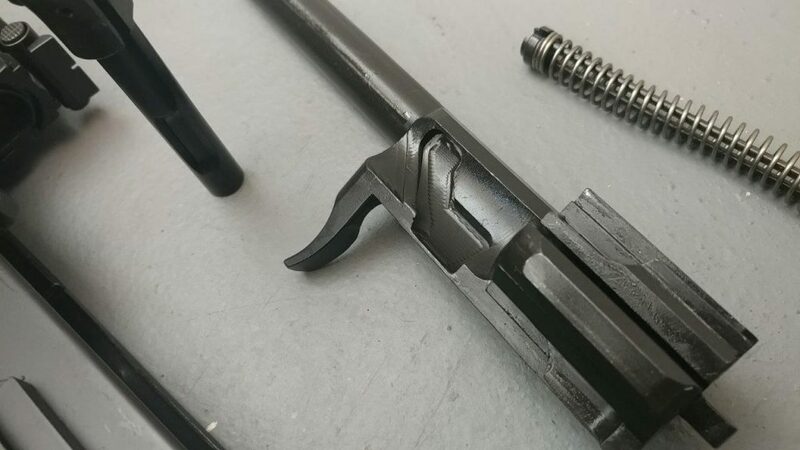 The tear down revealed one small spot of rust on the bolt carrier, and one area of concern on the bolt itself. I noticed the presence of possible shear or wear on the firing pin retaining pin. I removed the pin and inspected for damage. None was noted to the firing pin or the retaining pin other than the shiny area. I stoned the top of the pin to remove the rough edge that was created at some point and re-assembled. The action felt smooth. Let’s get back on the range. With the next range session, I was focused on accuracy testing. I installed a 1-4x variable from Atibal on a GG&G AK picatinny mount. I used some higher quality ammunition and re-tested for accuracy with PDX-1 Defender from Winchester. 3.7 MOA is typical of the AK style rifles, and I felt that it was sufficiently accurate for anything an AK could be asked to do. I then plinked with standard steel cased Russian fodder and had no malfunctions though the case. We heated up the AK nice and toasty, and passed it between friends. It remained solid throughout testing. 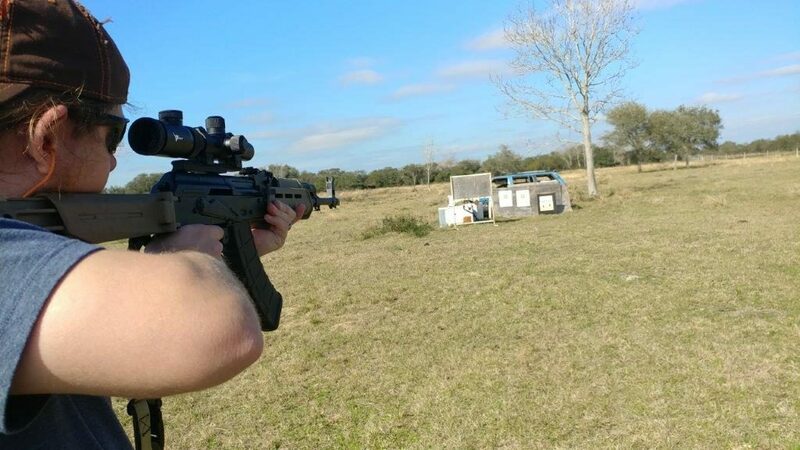 The PSA AK47 is a quality entry into a market where it’s getting harder and harder to find reasonably priced AK-47s. Retailing at roughly $599 is no small feat for all the R&D and tooling it must have cost to release this rifle series. 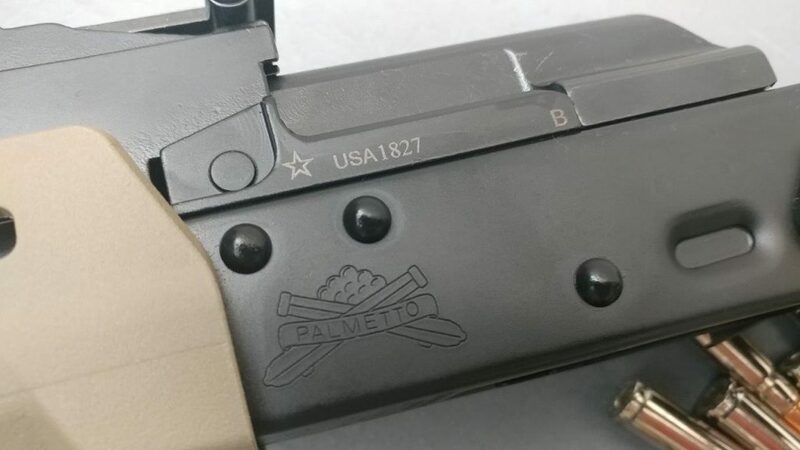 Other moderately priced American made AK’s have had well documented issues… It appears that Palmetto State Armory is not willing to make the same mistakes. 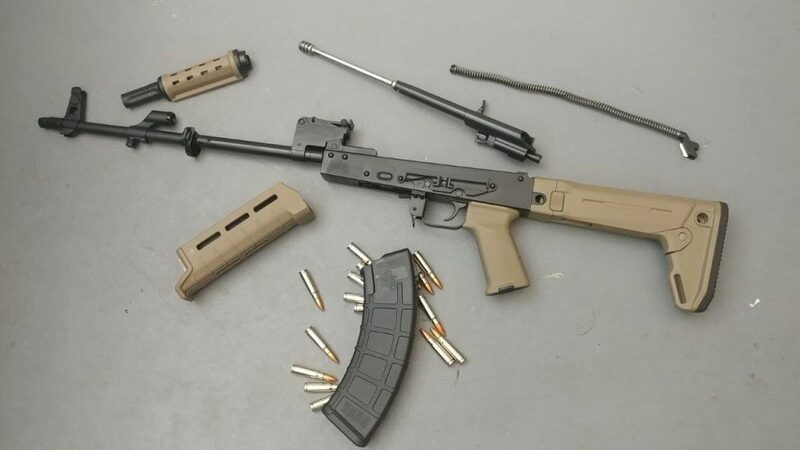 They have upgraded once cast components to billet, and now it appears the most recent generation (G3) of the PSA AK features forged front trunion, forged carrier, and forged God knows what else. That shows a commitment to doing it right. You want to see how to do it wrong? Click here. 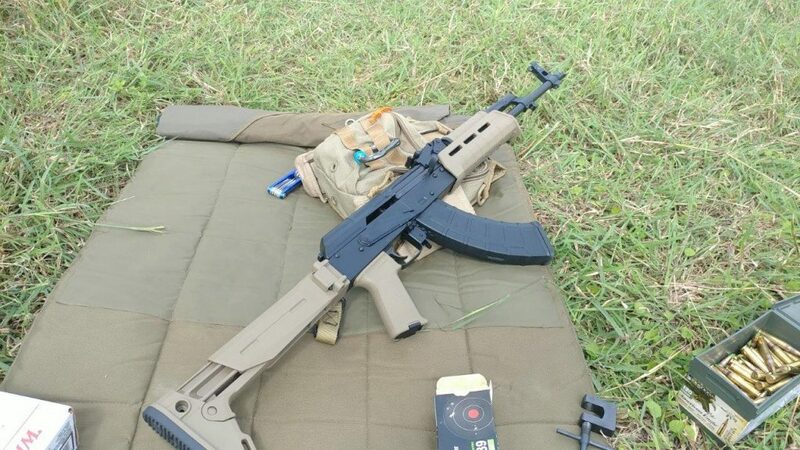 With more and more import restrictions and less motherland made parts kits coming in, American made Kalashnikov’s may be the direction we have to go in the future. My PSA MOEkov performed well during my testing. 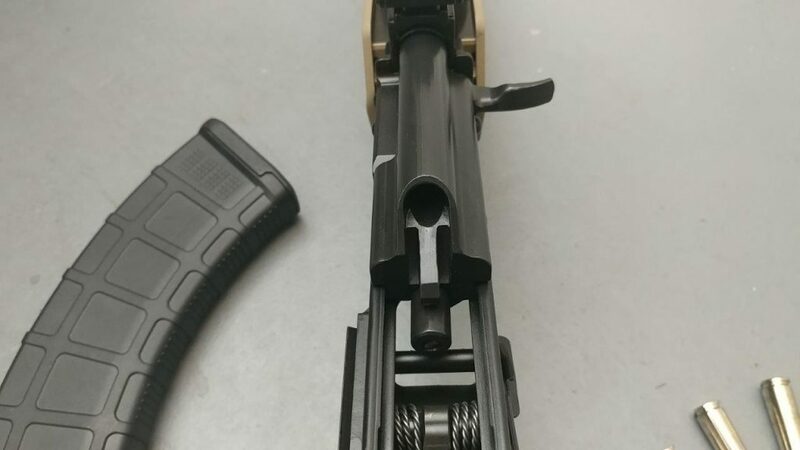 The firing pin retaining pin was an easy fix at home, and it was a minor problem on an otherwise excellent AK. The accuracy was as expected for a Kalashnikov. The PSA AK was sent by Palmetto State Armory for T&E and PSA and I have a financial relationship at www.thenewrifleman.com, my private blog. By posting this article at www.LooseRounds.com I have taken that relationship out of the review as LooseRounds.com does not have a financial relationship with Palmetto State Armory. If you want to show PSA some love for “doing it right” then click here to check out the MOEkov! Israel Defense Forces report on twitter that they found this rifle wrapped up in a blanket. I’ve been trying to identify a manufacturer, but I have had no luck. Looks like an Ergo (or knock off) grip. A Magpul knockoff stock. 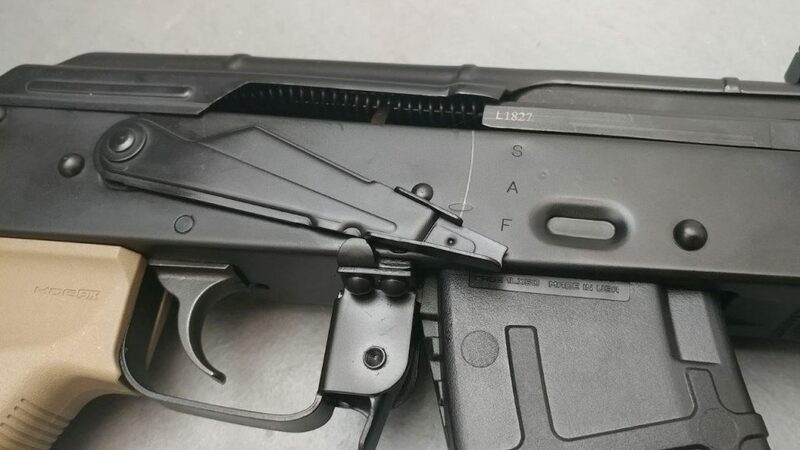 Upper may be Chinese made with the upper receiver and hand guards replaced. Funny that the detachable carry handle has no rear sight. What is most interesting to me is that it is drilled for an auto sear, and the cut near the rear of the lower is similar to the M16A1 reinforcements. The rifle is clearly a mismatch of parts, but I’m not sure who made the lower receiver. It doesn’t match any of the foreign AR15s I know of (not Chinese, Turkish, German, Canadian, etc). I took a look at airsoft rifles and didn’t see any machined the same as this lower. So, I’m clueless as to who made this. Interesting choice to store loose rounds in empty soda bottles. Easy way to protect them from the elements. Shame you can’t just pour the rounds into the gun.